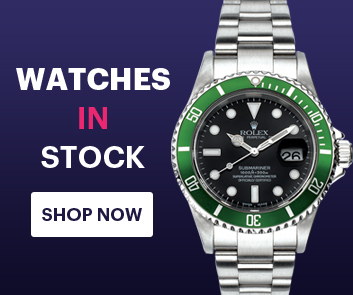 As many of you will know, here at Time 4 Diamonds we strive to create and craft some of the most beautiful bespoke luxury watches on the market - this Rolex GMT-Master II is no exception. 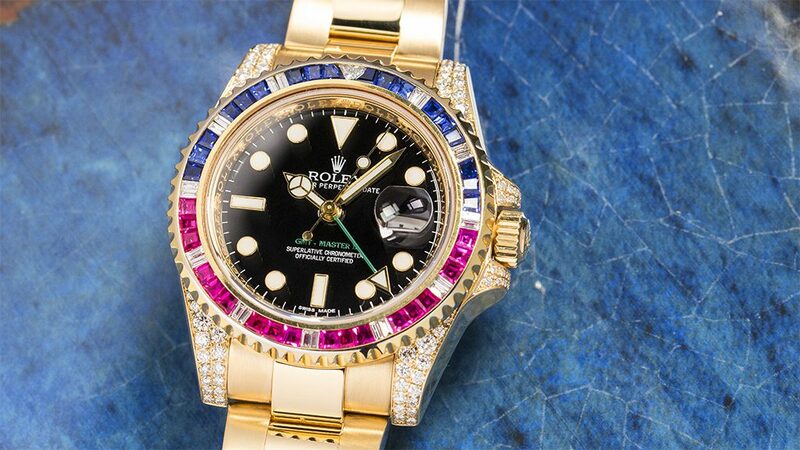 Created by our very own inhouse Time 4 Diamonds customisation team, before hitting the T4D workshop, this gorgeous timepiece began its life as a production line model Rolex GMT-Master II (ref. 116718LN). Crafted in superbly bright 18 carat yellow gold from Rolex’s own foundry, this watch is truly a show stopper and a guaranteed statement piece. It’s nearly the time of year when the world’s finest in fashion come together to celebrate their collections for the seasons to come. 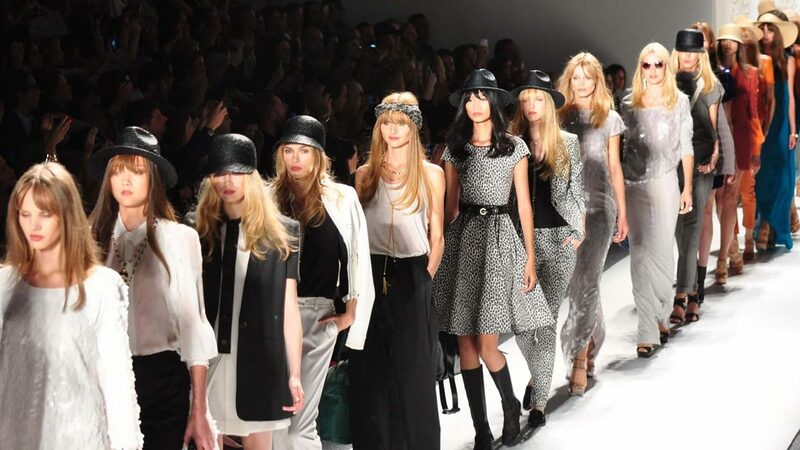 The “Big Four” fashion weeks, hosted in fashion capitals New York, London, Paris and Milan are due to run from the 7th of September to the 3rd of October 2017, with each city entertaining guests to a variety of exclusive, celebrity and VIP events from shows to after parties. If you’re a fashion aficionado, then you know these aren’t events to miss, so what’s stopping you? We’ve taken a look at each of the “Big Four” events, to see what makes each one special. 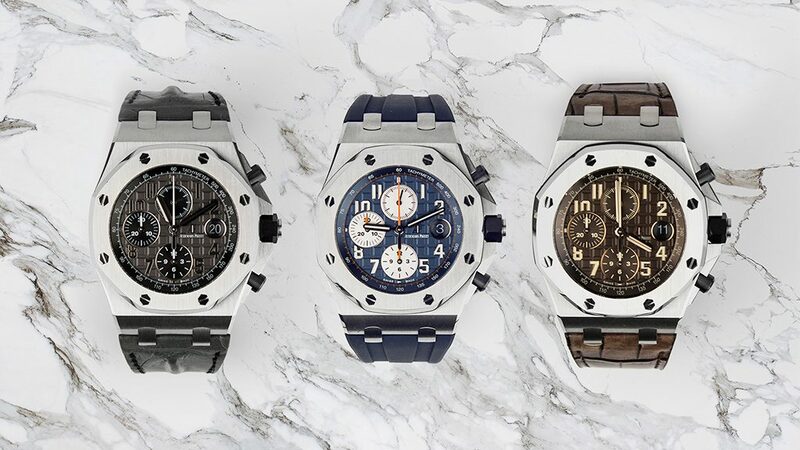 The Audemars Piguet Royal Oak Offshore series is perhaps one of the most successful luxury watch designs of the last twenty five years, with numerous notable references, some reaching cult status. In this blog we’re going to take a look at three classic examples we have here in stock at Time 4 Diamonds, the Navy, Havana and Elephant models and discuss the differences between them. 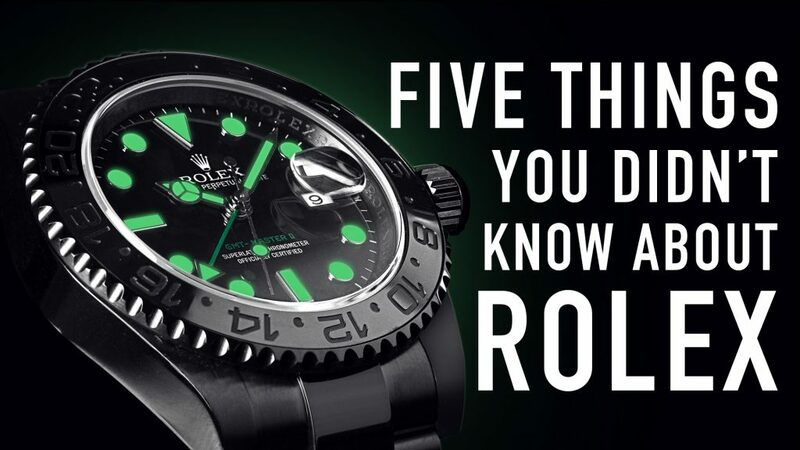 As you’d imagine, here at T4D we’re privileged enough to see a host of ultra-luxury and bespoke watches on a daily basis, but every so often we get a chance to see something extra, extra special. 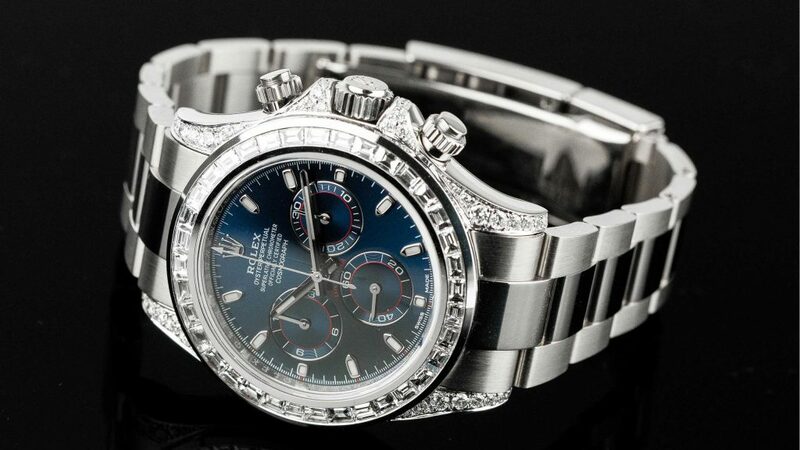 This extravagant, yet elegant diamond-set, 18 carat white gold Rolex Daytona is just such an example. 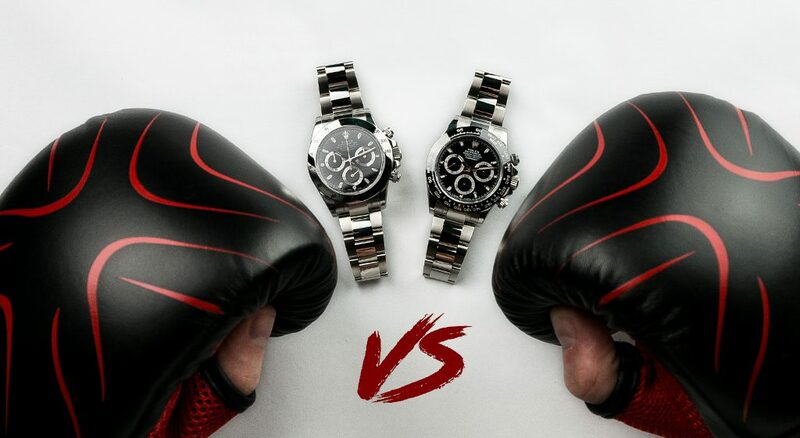 The Rolex Daytona is perhaps the most iconic chronograph watch of the twentieth century and with good reason. Designed and introduced in 1963 to meet the demands of professional racing drivers, its highly-reliable chronograph and bezel with tachymetric scale allows drivers to perfectly measure speeds up to 400 miles an hour. Few things have changed since its introduction, but there are some elements that mark the 2016 116500LN model out from its predecessor. Star of music and screen, Lana Del Rey returns to the UK this summer for two blockbuster concerts promoting her new stellar album Lust for Life. Both Liverpool and Glasgow will play host to the singer, actress and model, whose music has been characterised by its cinematic and stylized aesthetic and vintage pop-culture references. 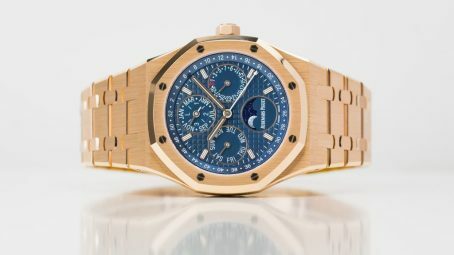 We’re privileged enough to see numerous examples of the world’s most luxurious watches here at Time 4 Diamonds, but once in a while we have the chance to see something extra-special and this superb Audemars Piguet Perpetual Calendar (26574OR.OO.1220OR.02) in Rose Gold is one of them! As the trademark slogan goes, “You never actually own a Patek Philippe, you just look after it for the next generation”. After nearly 170 years in the luxury timepiece industry, Patek Philippe occupy a very special place in the hearts of horologists world-wide, and with good reason. 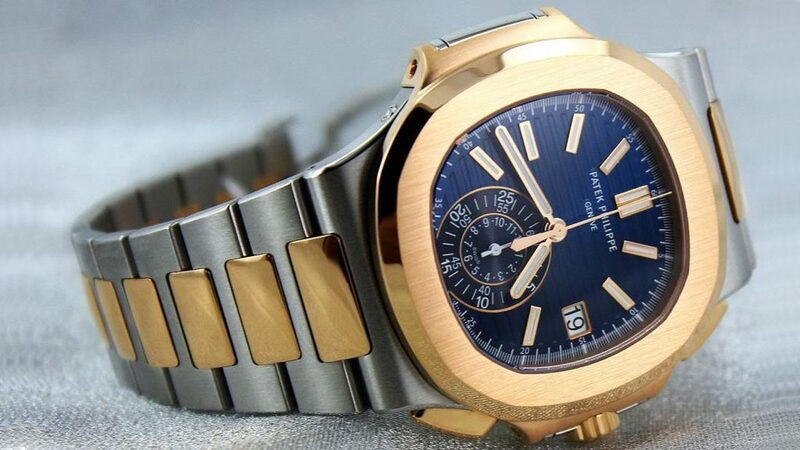 The Patek Philippe brand is a byword for the quality and craftsmanship that these stunning watches embody, and the qualities are nowhere more prominent than in the Nautilus line. Patek Philippe revisted some of its most iconic bestsellers at this year’s Baselworld. One of the most talked about new launches includes the Aquanaut Travel Time Ref 5650 G, created in celebration of the 20th anniversary of the Aquanaut collection. 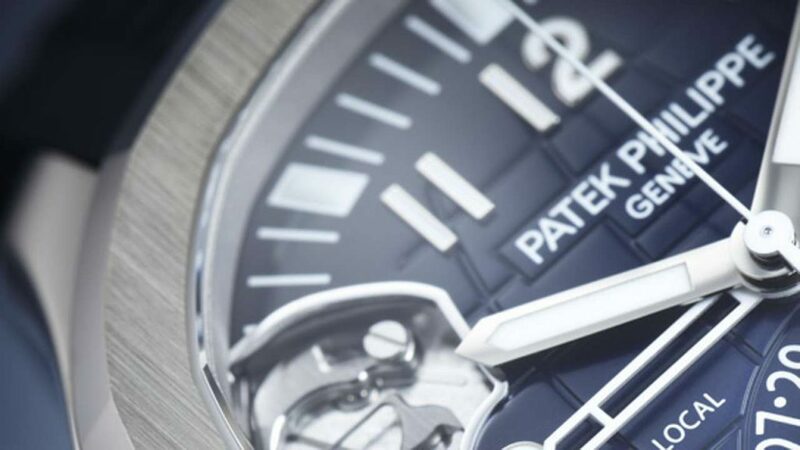 The piece, available in a limited series of 500 pieces, features two of Patek’s new innovations – the Spiromax balance sprint made of Silinvar and a compliant mechanism that’s used to set the second time zone in time-zone watches.